Chapter 5: What Is In The Way? Free goal setting tools are plentiful on the Internet today. 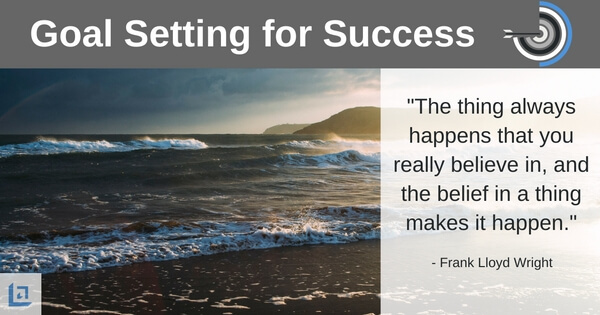 Having a solid tool for goal planning is important, but what's even more important is using a quality tool with the appropriate mindset. Having a leadership point of view to planning your life makes all the difference, so let's keep the discussion moving along. Obstacles are the things you see when you take your eyes off your goals. It's even worse when you don't have any goals because all that is left to see is obstacles - so you must have big goals for your life. 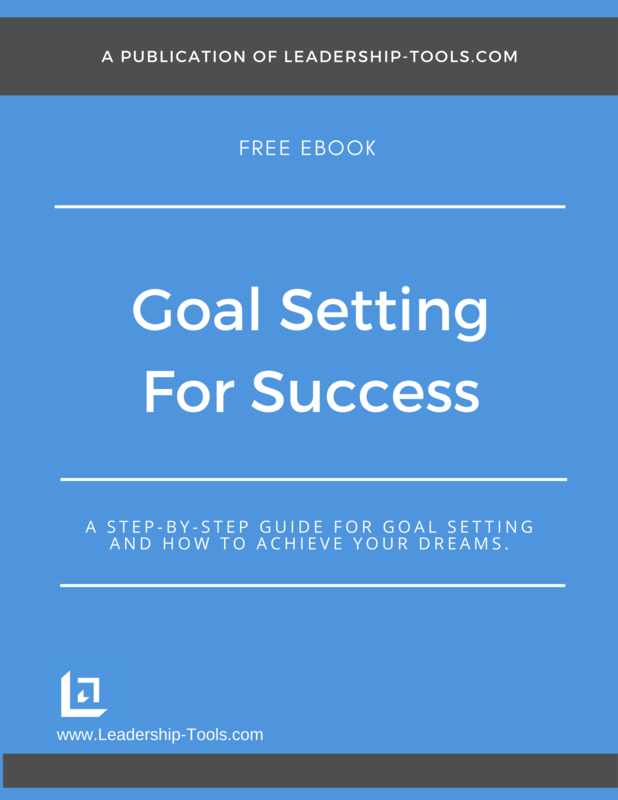 Learning how to overcome obstacles in order to make continued progress on your goals is a key message in our free goal setting guide. Overcoming obstacles requires a shift in your outlook, a change of mindset. The typical human being will do almost anything to avoid the things that we perceive will give us pain. This is why so many people are mentally crippled by the fear of confrontation; fear of public speaking; fear of stepping outside their comfort zone to try new things and experience new surroundings. When you are convinced that you run a high risk of feeling pain, it's easy to become paralyzed. In many cases this state of paralysis sets into your mind and you can develop the habit of procrastination and avoidance. "FEAR is the one thing that most often gets in the way of your success." Fear in a permanent state is no less tragic than being severely handicapped in a terrible accident. Fear can leave scars just as deep and just as crippling. It's been said, "the coward dies a thousand deaths". Every time we allow ourselves to shrink from a challenge, to back away from doing what's necessary in order to make progress in our business or in our lives, we lose a little bit of ourselves that can be very difficult to get back. 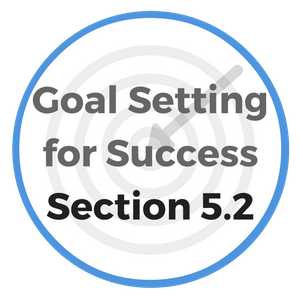 In the next two sections of our free goal setting guide, Goal Setting for Success, we'll speak more directly on how to deal with fear of failure and also how to develop a habit of responding positively to fearful situations. "The ability to concentrate and to use your time well is everything if you want to succeed in business - or almost anywhere else for that matter." Success Lesson #10: You Can, But Will You? If one says "I can, I will, and I shall", it's the sort of faith that will pull a person through to the finish. It's the sort of faith that pulled the man who spoke these words through incredible difficulties to a seat in the Capitol at Washington. "Life's battle does not always go to the stronger or faster man; but sooner or later the man who wins in the one who THINKS he can." If ever there was a man who could put to shame husky young fellows who are everywhere crying about their lack of opportunity and complaining that they cannot overcome the obstacles that bar them from success, it is this man - William D. Upshaw, Member of Congress from Altanta, Georgia. An accident at eighteen, while working on his father's farm, almost broke his back, and confined him to bed for seven years, suffering terrible pain. He slowly improved to the point he could be carried from his bed to a wheel chair, where he resumed his interrupted studies and work. Writing for local newspapers and lecturing on stage and peddling a book he put together from a collection of his articles, in six years he made enough money to put himself through Mercer University. The University, upon graduation, employed him immediately and he swiftly rose to a top position. Now compare this young man who was poor, crippled and suffering intense pain for years; yet marching straight on to victory, without ever grumbling or asking for help, to the multitudes of healthy men and women who simply lack the will and discipline to make things happen. "I can and I will" is the slogan that has inspired armies and individuals since time began to triumph over repeated defeats and win their way to victory in the face of overwhelming odds. Leadership Tools Home › Goal Setting for Success › Chapter 5, What Is In The Way?